Norwegian prime minister Jens Stoltenberg said he would never travel Ryanair as it is sued by two former stewards for unfair dismissal. RYANAIR BOSS MICHAEL O’Leary was in Norway yesterday to reject accusations that his low-cost airline treated its employees like slaves, as unions and politicians in the Scandinavian state called for a boycott of the firm. “It was a contract of slavery,” said Vegard Einan of the Parat union that is assisting the two women in their lawsuit. 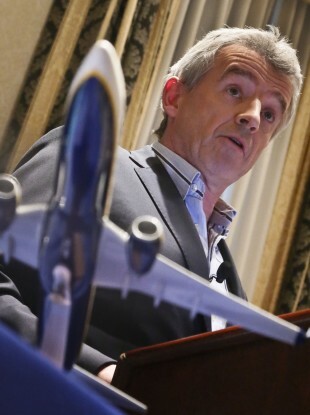 O’Leary, speaking to reporters at Rygge airport, said that his firm fully respected European legislation and that he was the victim of “a series of false claims”. On Wednesday, Norway’s Prime Minister Jens Stoltenberg declared that he would never travel with Ryanair, a no-frills airline which makes most of its money by charging for optional extras. Email “As Norwegian PM boycotts Ryanair, O'Leary insists staff not treated like slaves”. Feedback on “As Norwegian PM boycotts Ryanair, O'Leary insists staff not treated like slaves”.